Gyokuro Okabe is grown and harvested in Okabe Town, Shizuoka Prefecture, a pristine area surrounded by immense natural beauty. The area is famous throughout Japan for Gyokuro production and its Gyokuro tea ceremony and tasting rooms situated at Gyokuro No Sato. 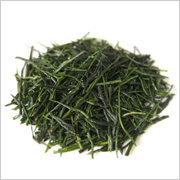 Gyokuro is admired as the highest grade of Japanese green tea. Its leaves are grown in the shade for twenty days before being expertly picked by hand. Then they are immediately steamed, dried and carefully rolled into distinctive shapes resembling pine needles. Gyokuro is harvested only once a year in the early spring. 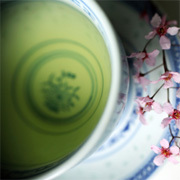 The delicate flavor and slightly sweet aftertaste make Gyokuro the choice of green-tea connoisseurs.